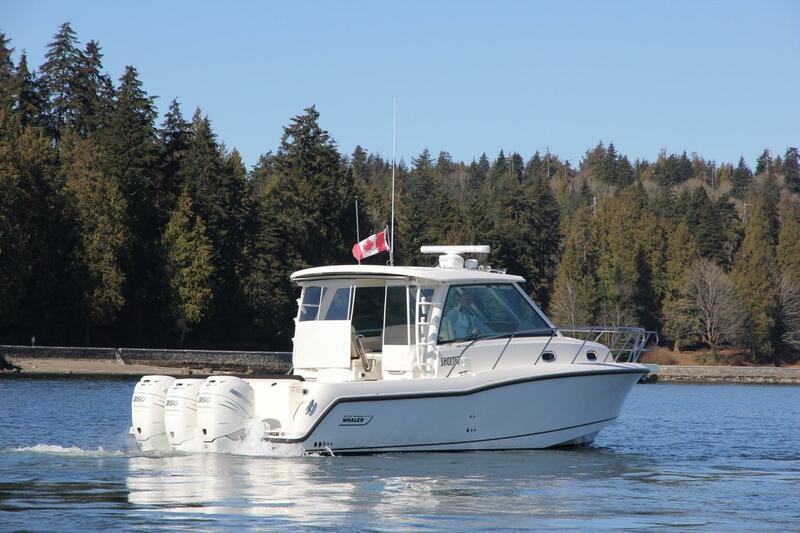 Boston Whaler is renowned for it’s quality build, reliable performance, and exceptional seakeeping abilities in all conditions. 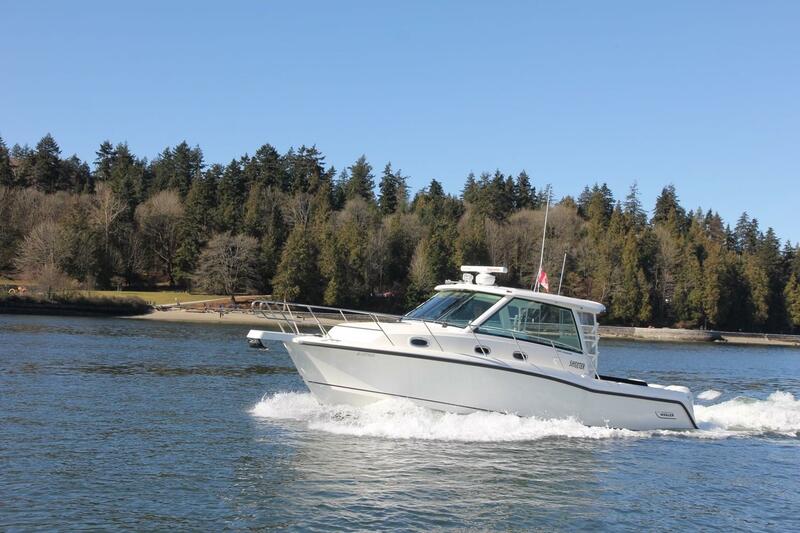 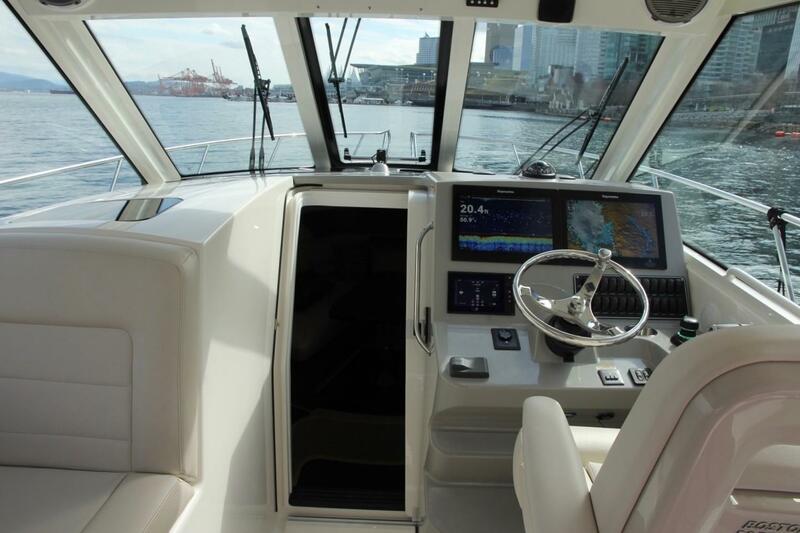 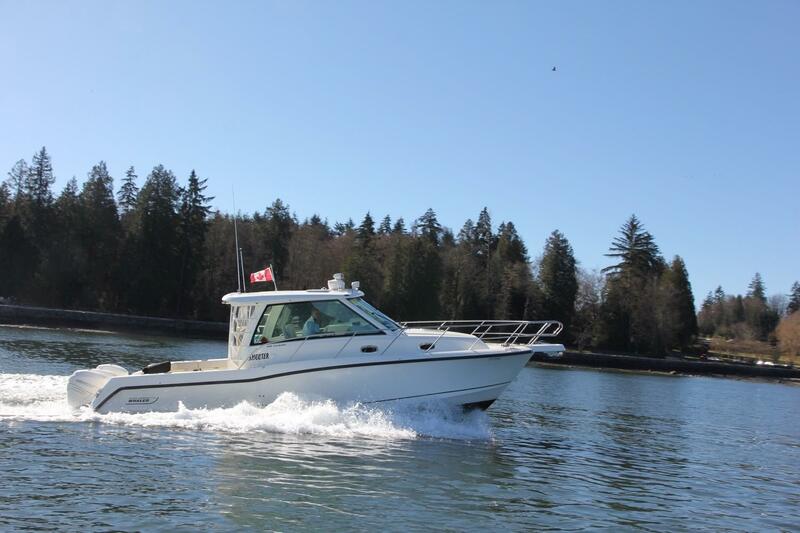 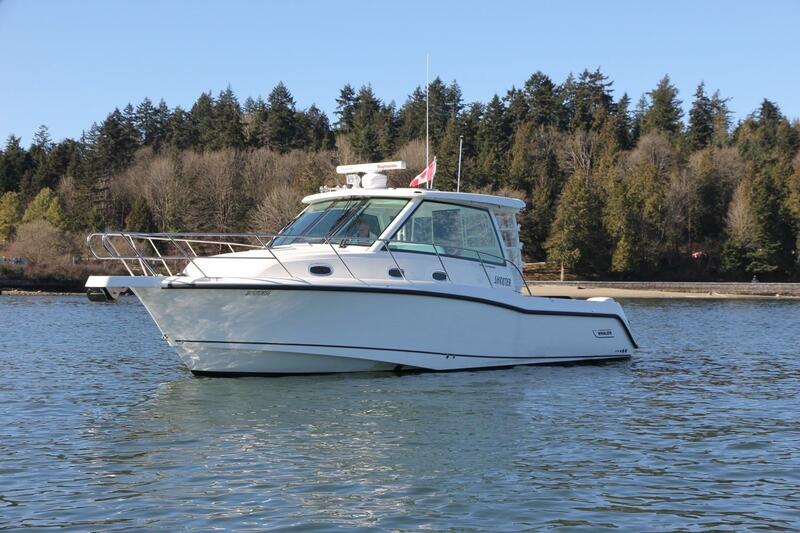 Ideally suited to our Pacific Northwest waters the very popular 345 Conquest model is well appointed, loaded with options and ready for it all, fishing, island commuting, or entertaining and relaxing with friends and family. 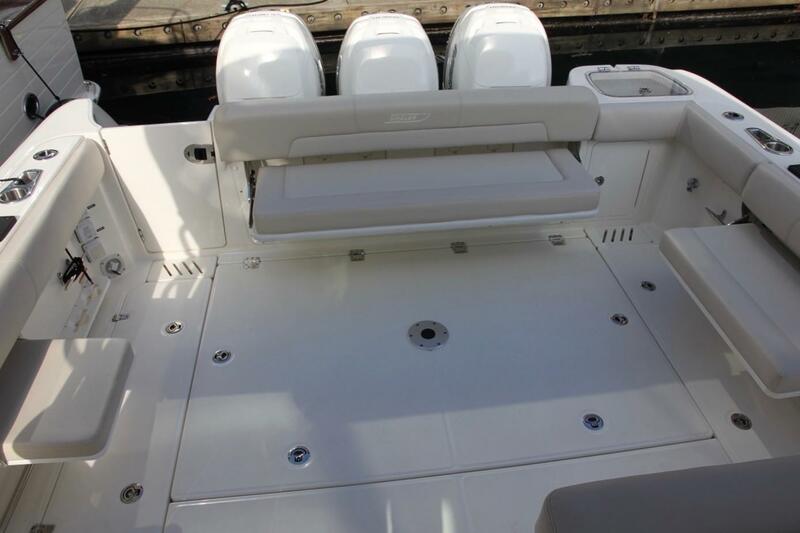 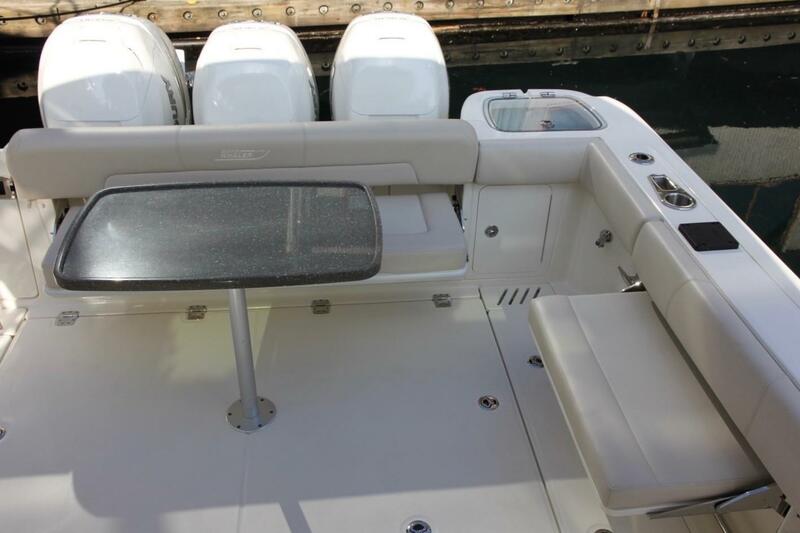 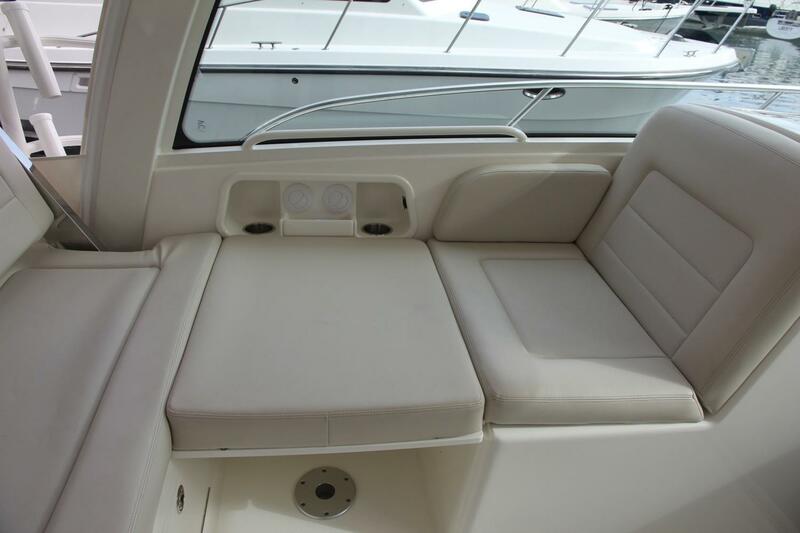 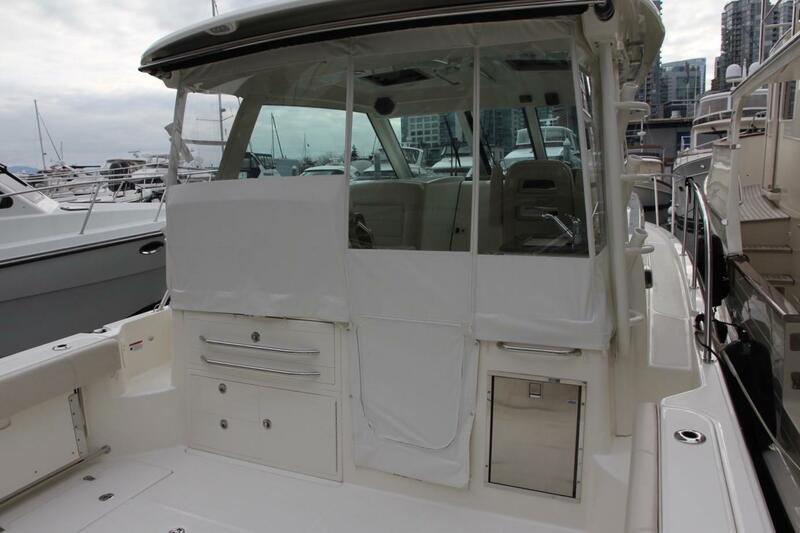 This late model Boston Whaler 345 Conquest is in like new condition, lightly cruised, with very low hours on the triple 350HP Mercury Four Stroke Verado outboards which provide impressive power, control and handling. 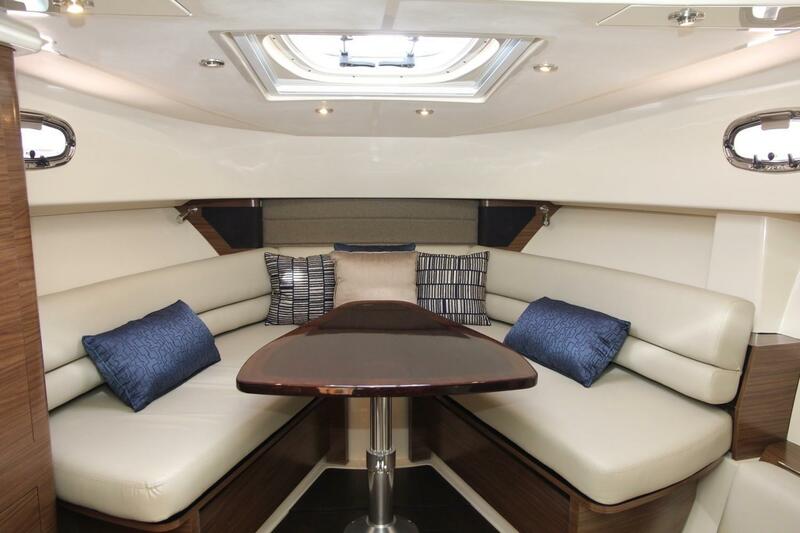 Sleek and sophisticated styling through out, elegant and luxurious interiors, and all the creature comforts normally found on much larger yachts. 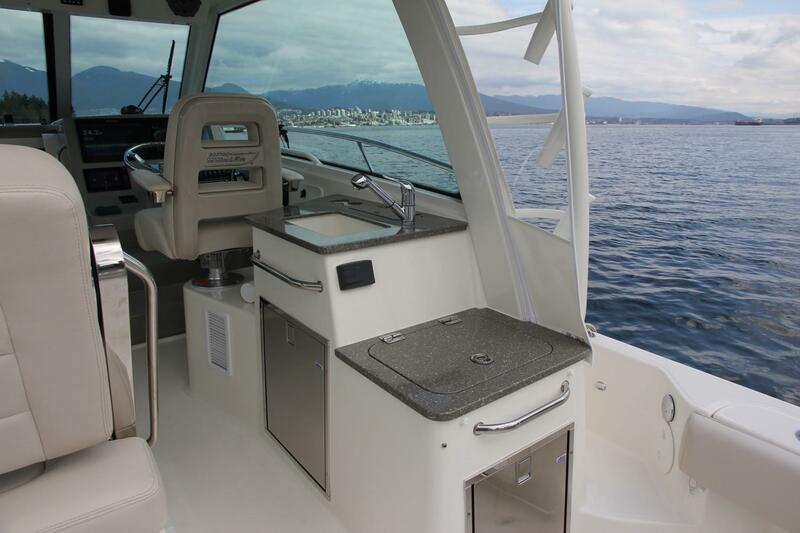 Walk around decks, rod holders, gear storage, down rigger mounts and insulated fish boxes are all features that make this a serious offshore fishing boat. 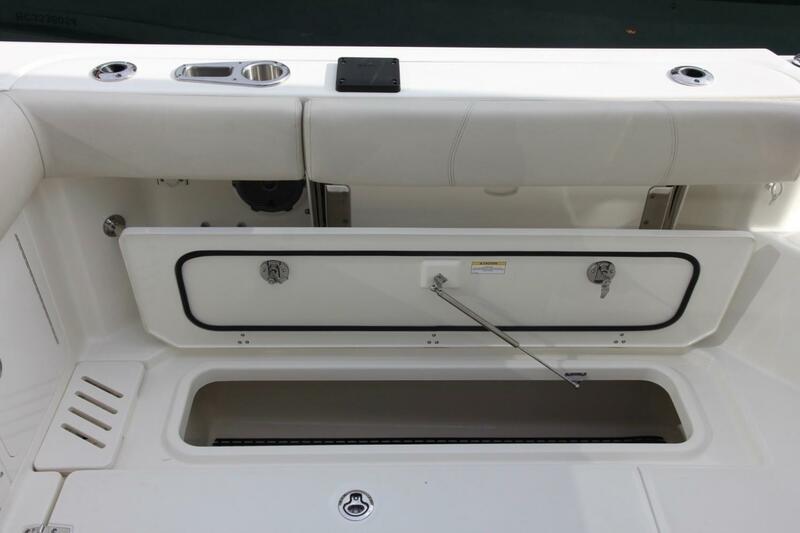 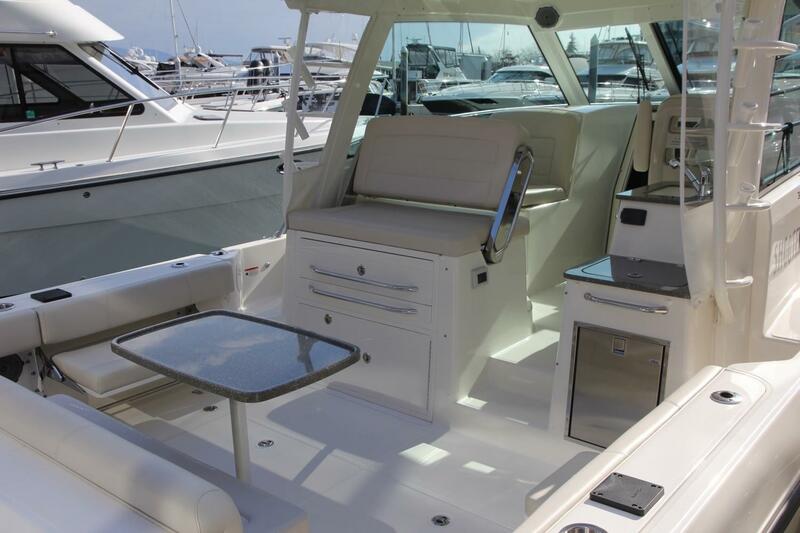 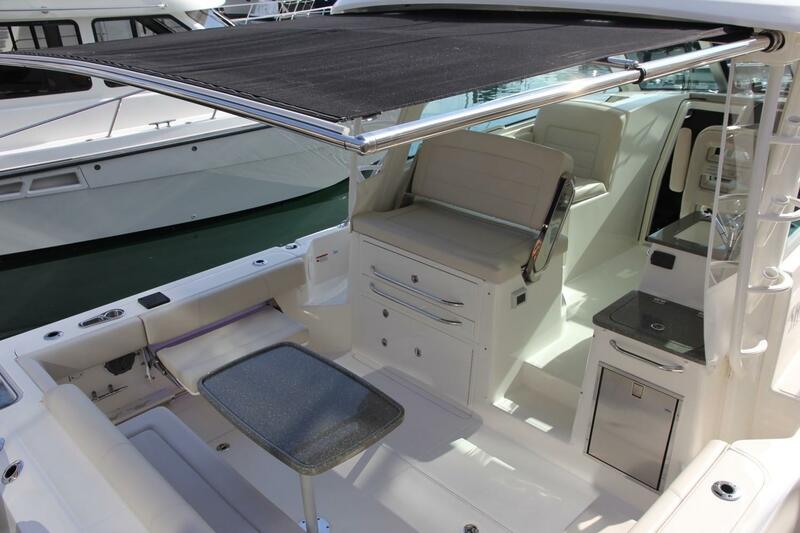 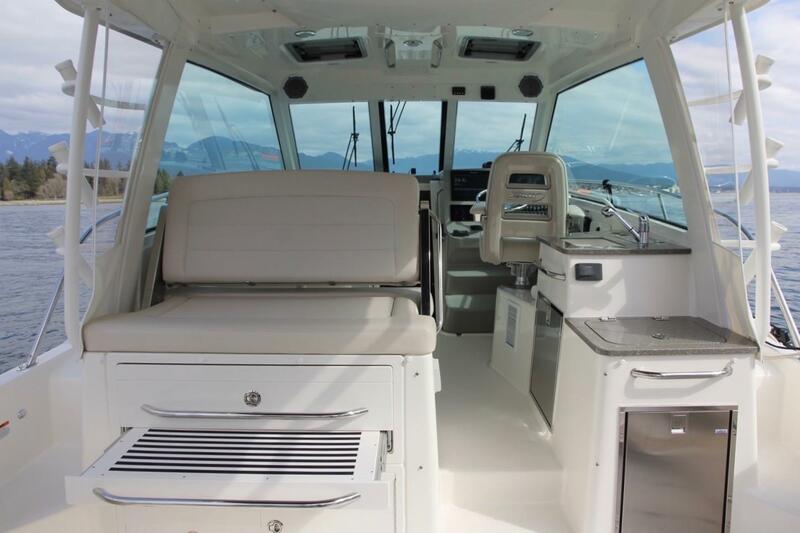 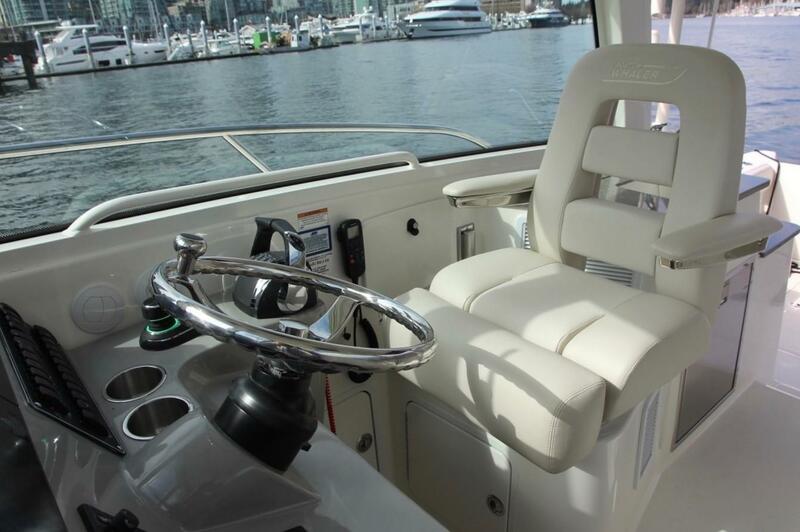 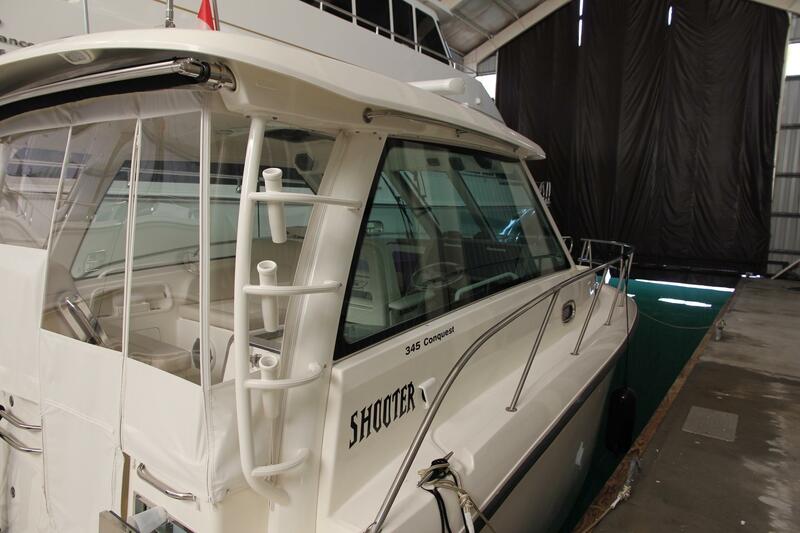 Shooter is a Boston Whaler 345 Conquest that does it all, with features such as a fully enclosed helm station, entertainment centre, wet bar and spacious aft cockpit. 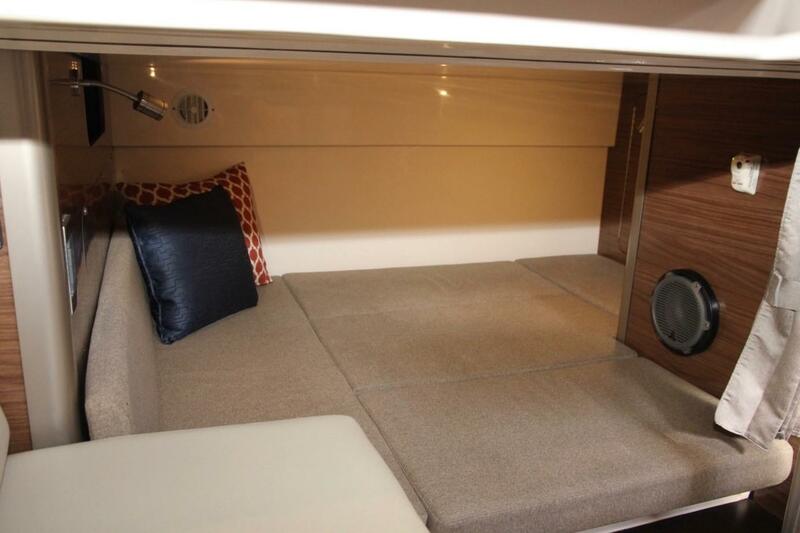 The cockpit has fold out seating, electric grill, fridge and stereo. 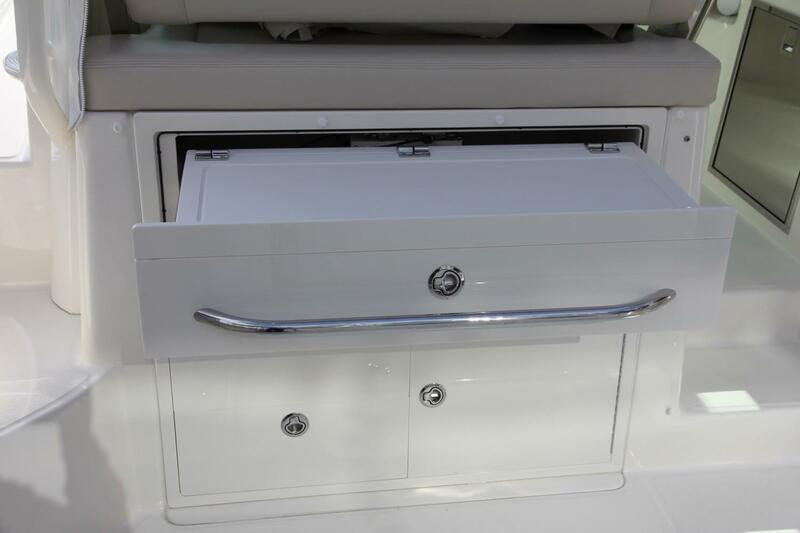 Also tackle and equipment boxes, live wells, storage lockers, multiple rod holders and 12 VDC electric downrigger outlets and mounts. 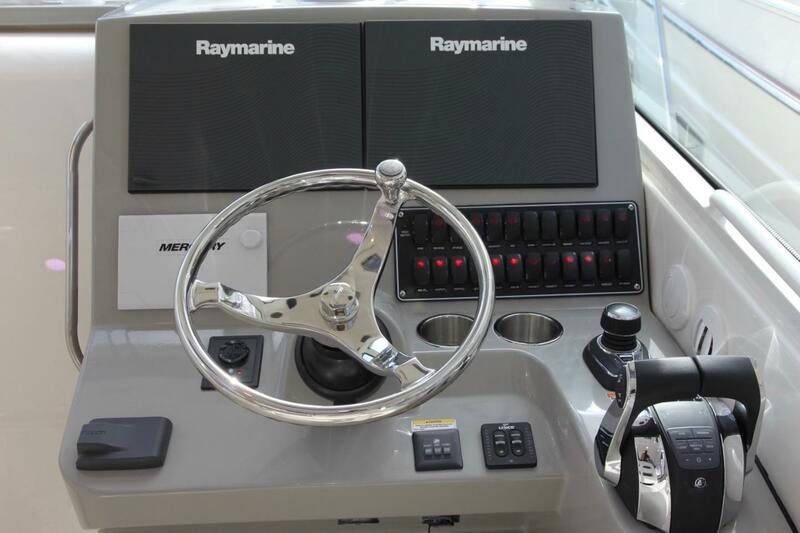 Forward is the helm station with a fully integrated Raymarine electronics package, autopilot, engine instrumentation and Fusion stereo system. 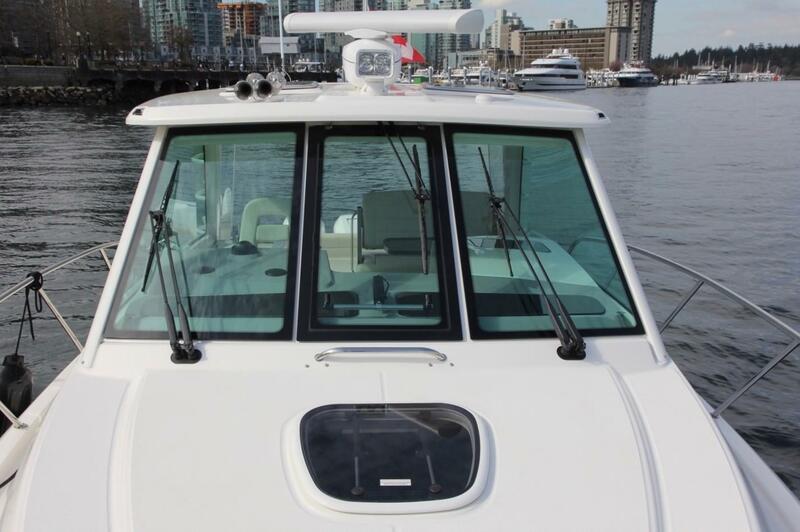 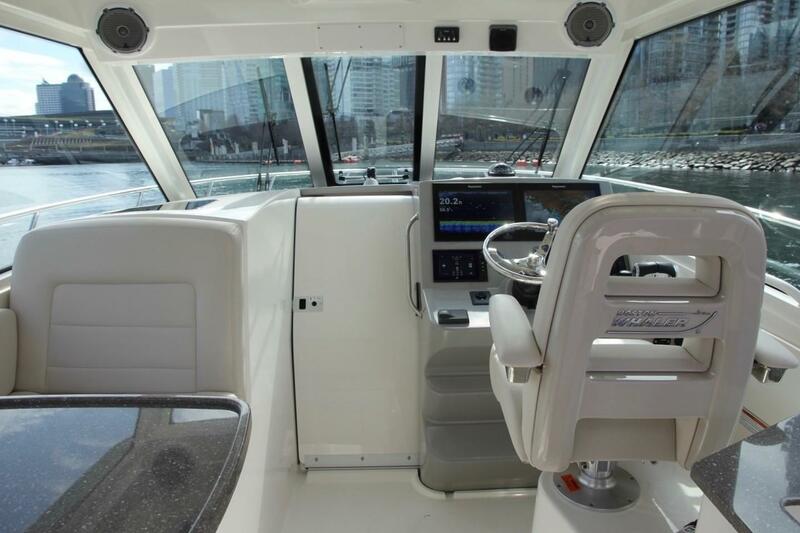 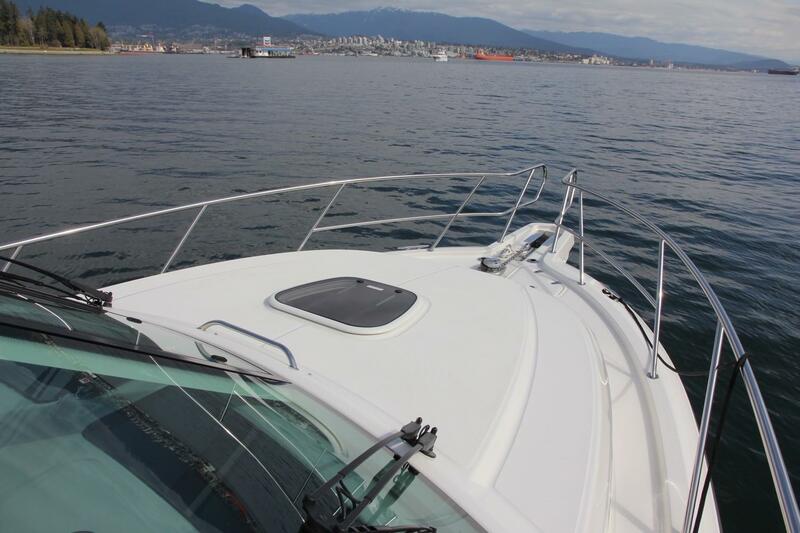 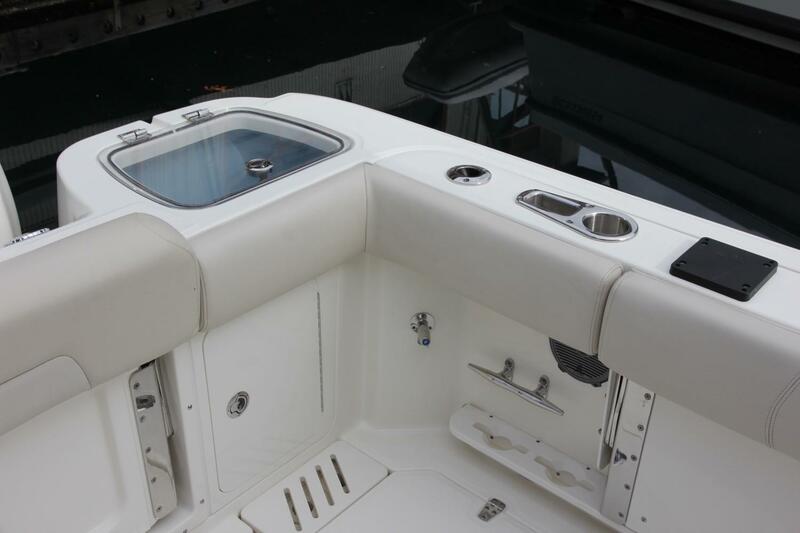 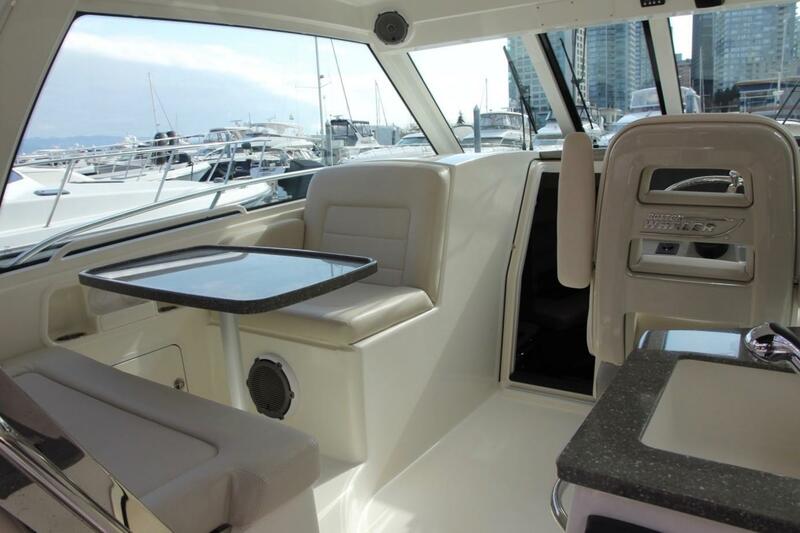 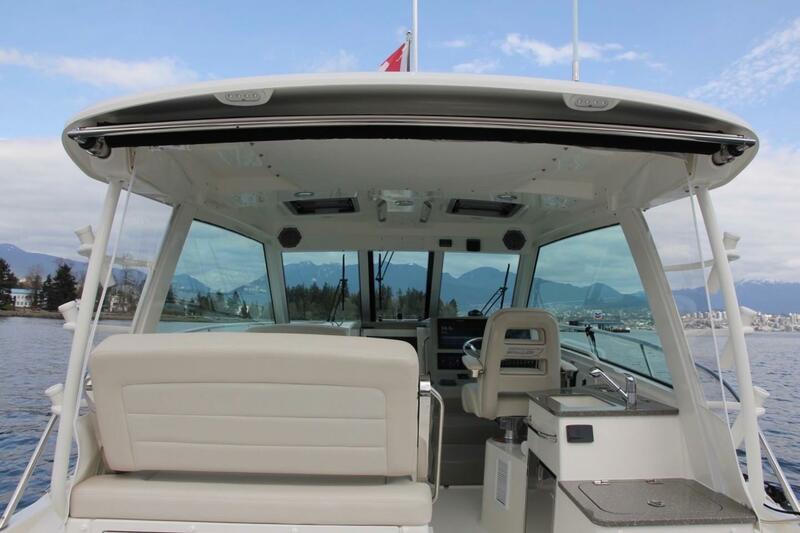 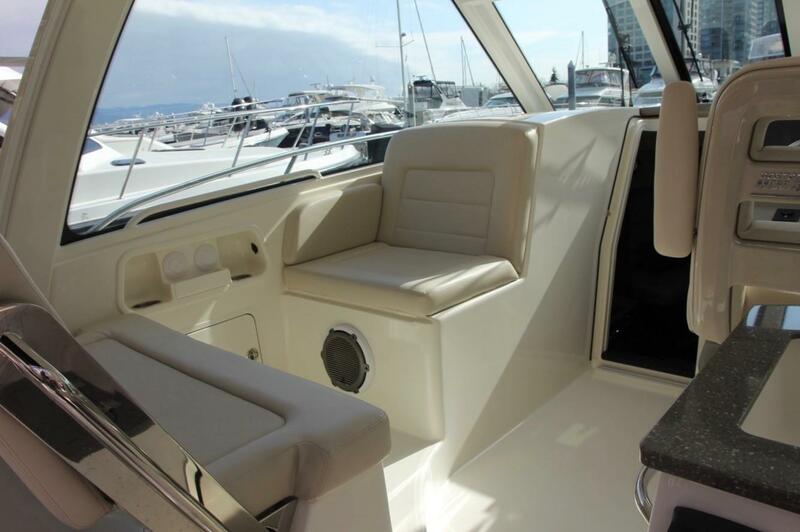 The helm is fully enclosed with hard top, opening glass windshield, glass side windows, with removable aft acrylic windows and door, all this providing year round weather capabilities and cruising. 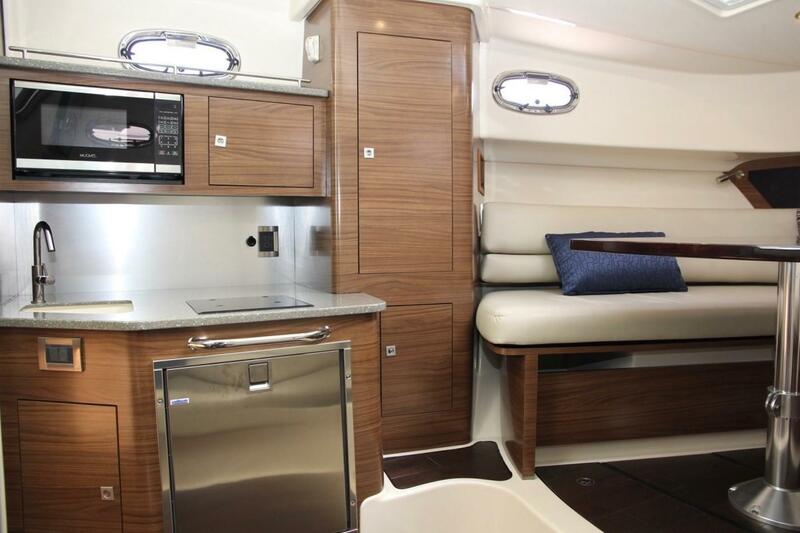 Down the companionway steps is the spacious and well appointed cabin offering a full galley with fridge, stove, microwave and sink. 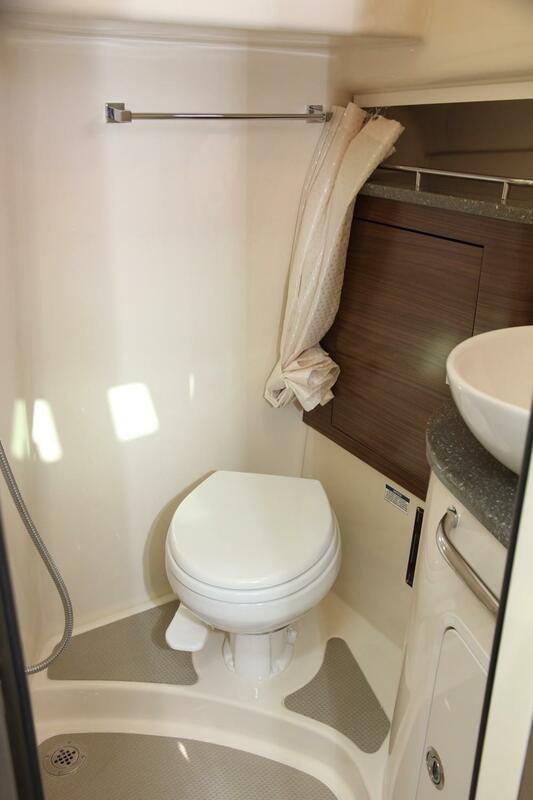 There is a separate head and shower compartment with vanity and basin. 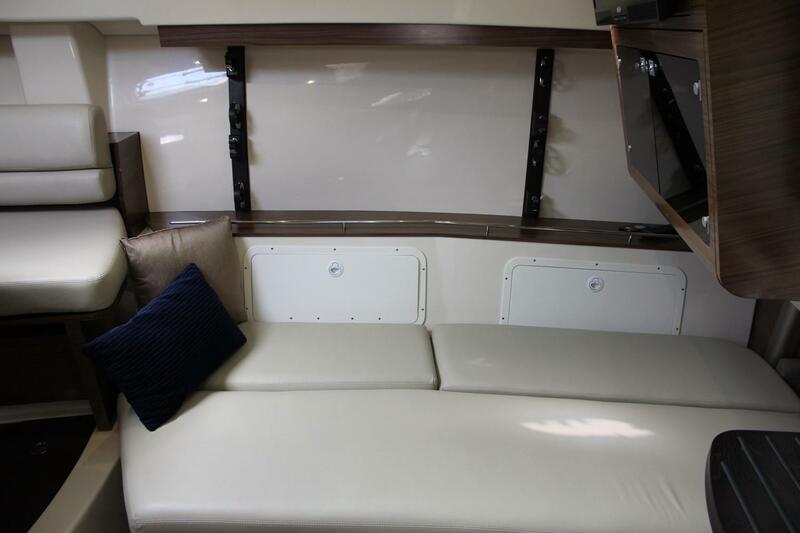 Also settee seating with dinette table that converts to a forward berth and a spacious full size mid berth. 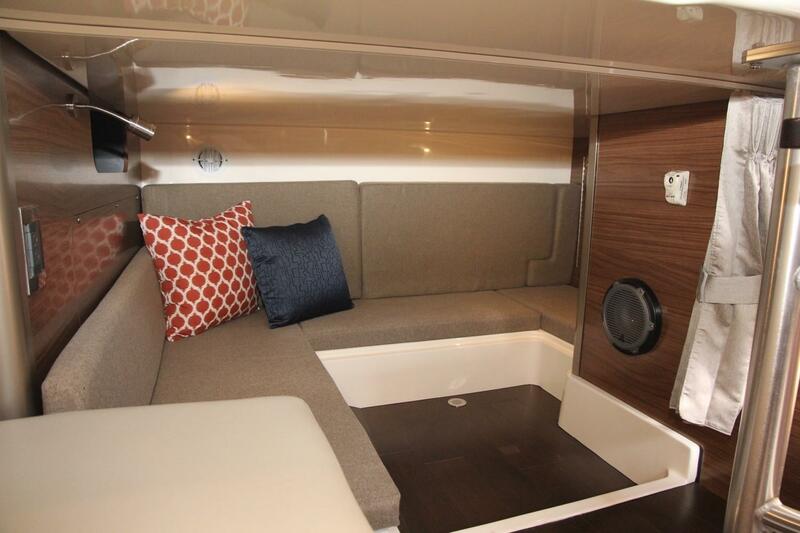 There are also hanging lockers, rod storage and an entertainment console with flat screen television and stereo system. 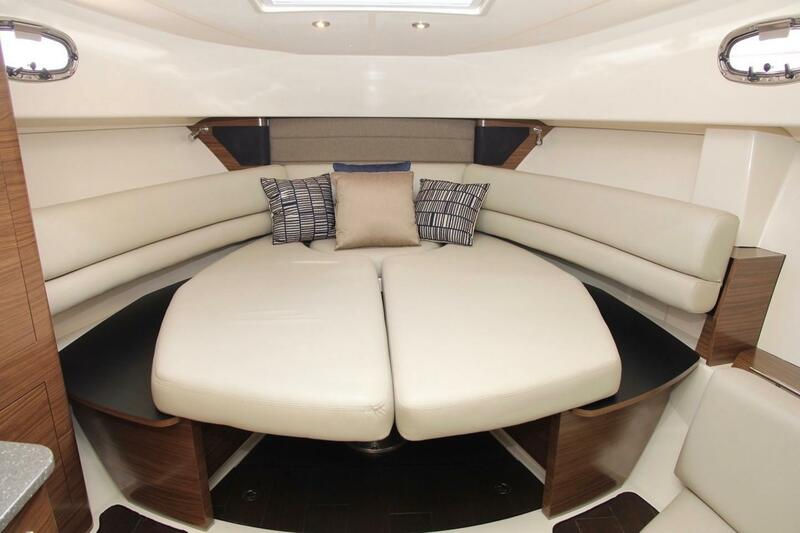 Forward is a U-shaped dinette settee with high gloss wood table; table drops with electrically actuated pedestal enabling seating to convert into queen size island bed. 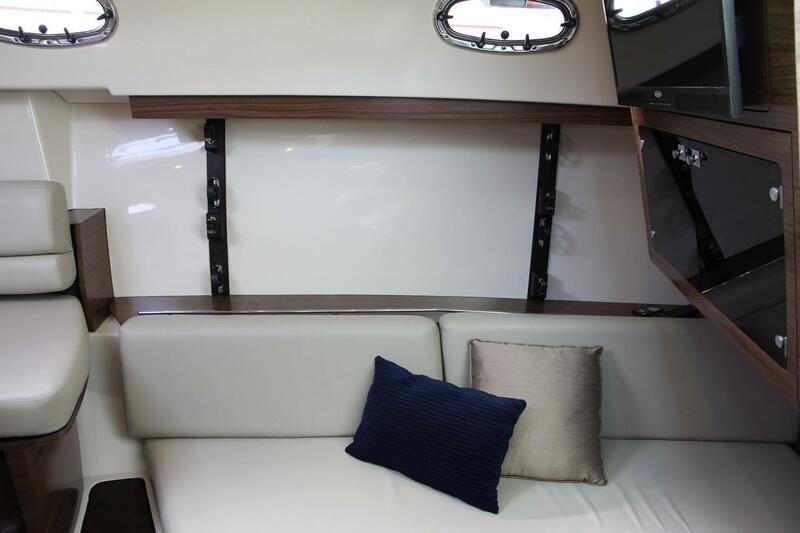 Starboard side there is a large settee, convertible to a berth, rod holders, and the entertainment console with TV and stereo. 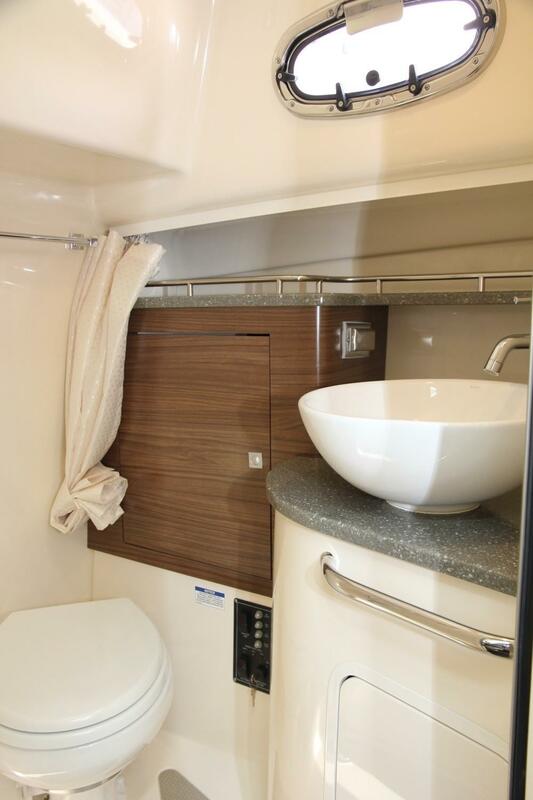 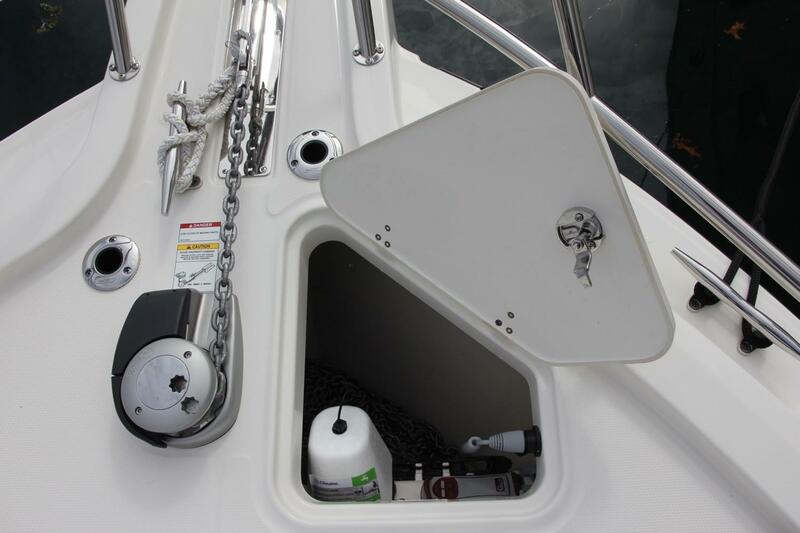 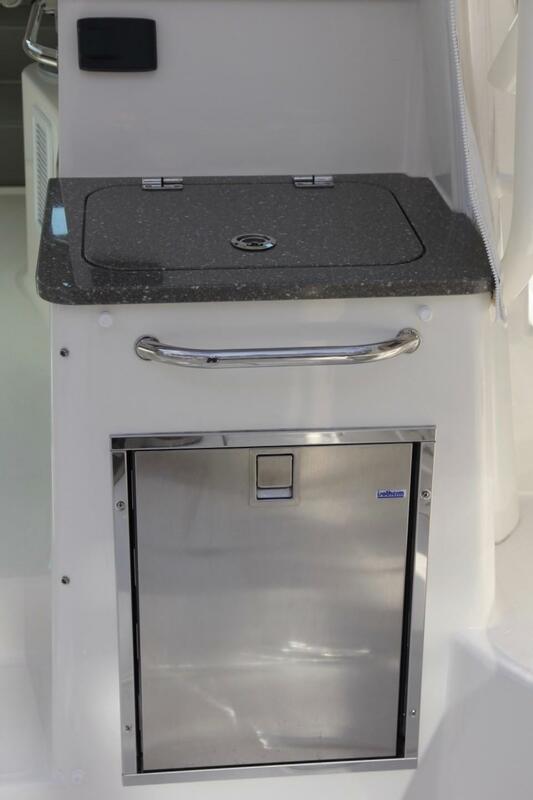 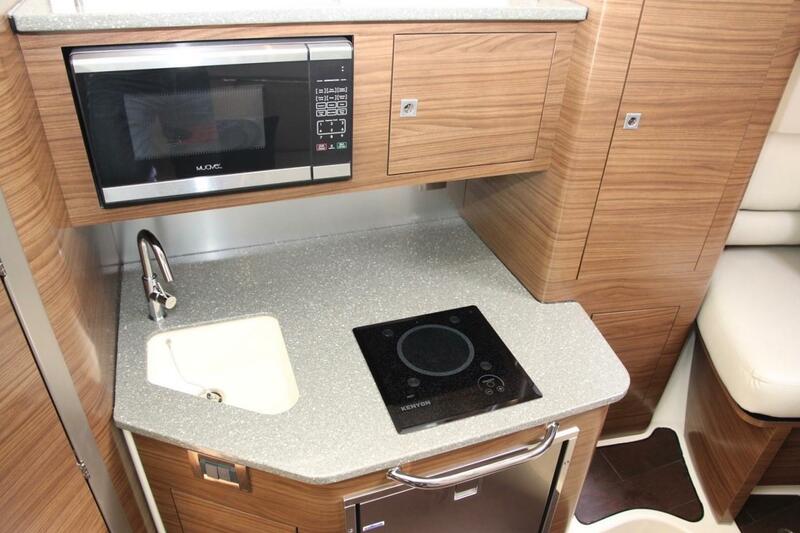 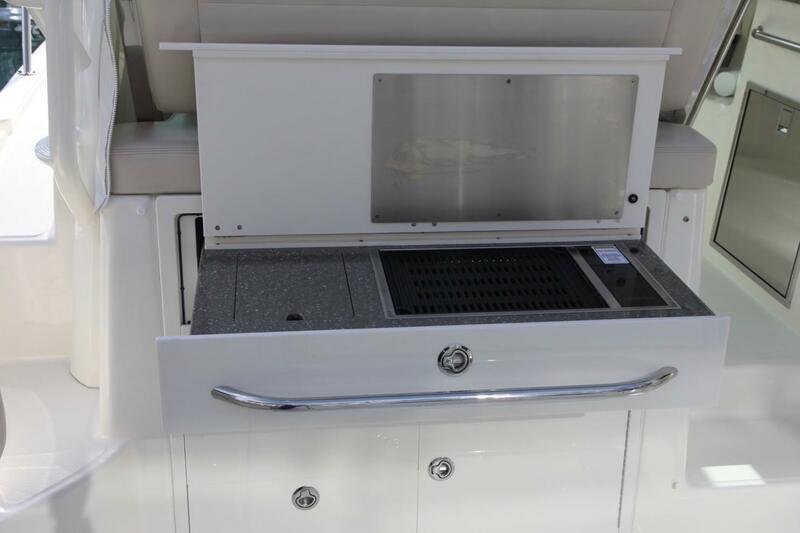 Port side is a hanging locker, galley equipment and storage, with a separate head and shower compartment. 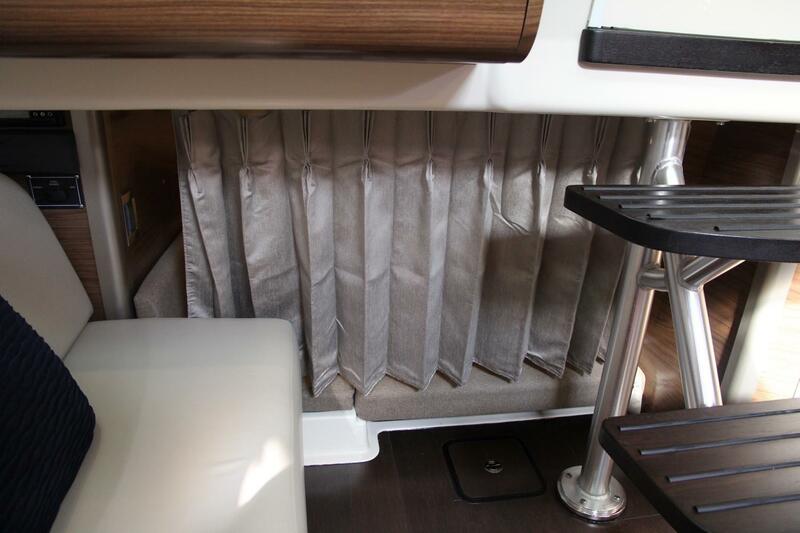 Further aft, separated by a privacy curtain is the spacious mid ship berth. 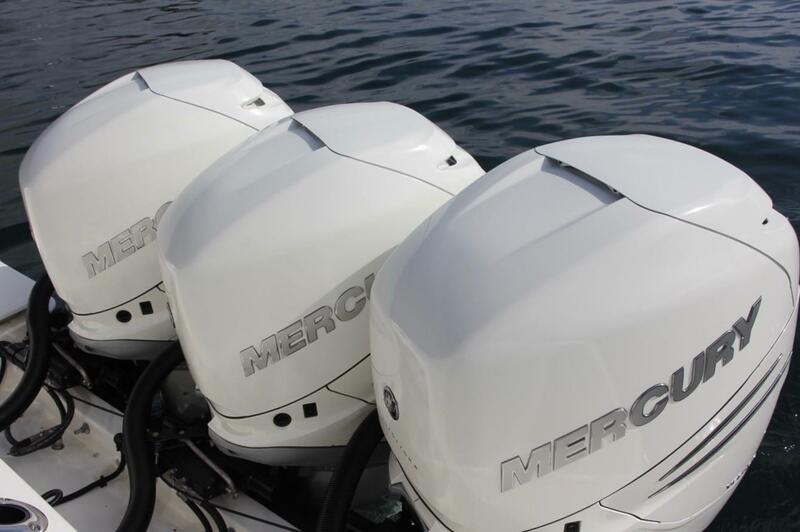 Mercury Verado is the pinnacle of superior outboard engine design and performance delivering advanced engineering and refined operation every feature is designed to deliver the ultimate on-water experience with confidence and comfort. 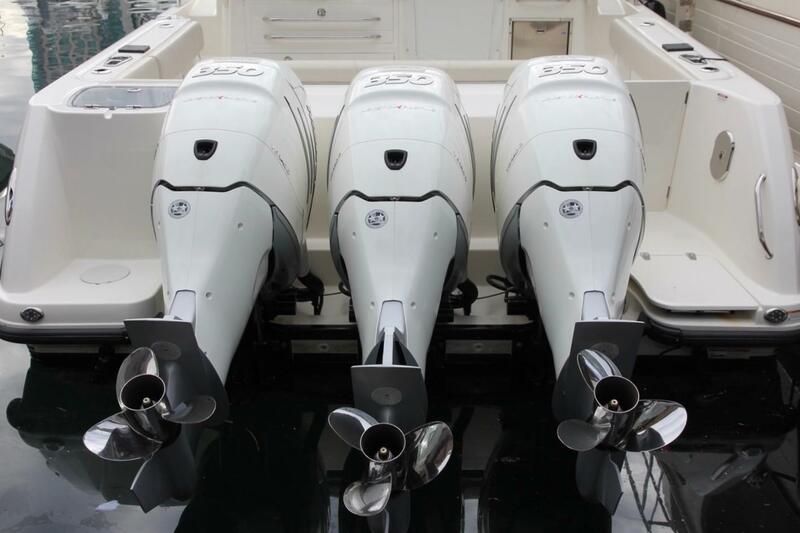 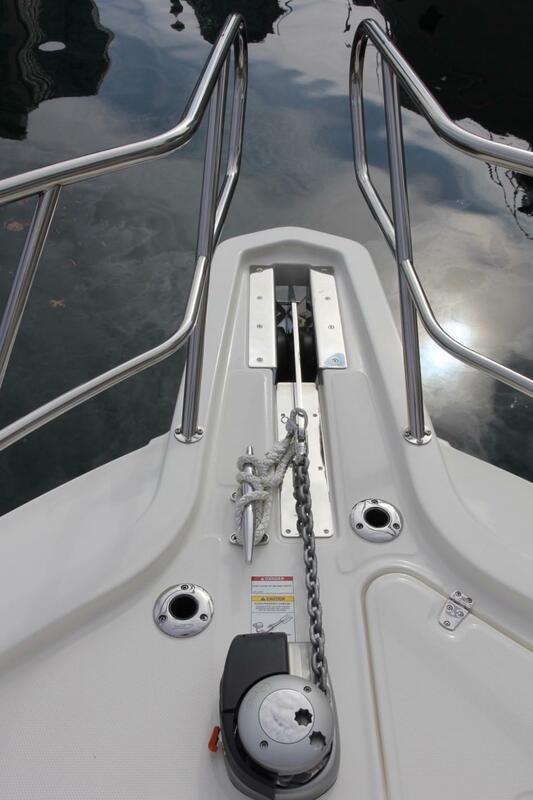 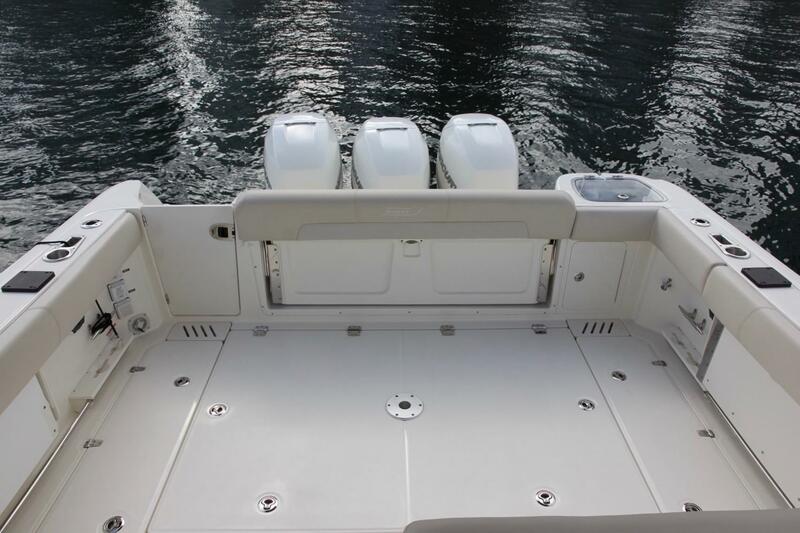 The engines can be run independently, providing an easy cruise on two engines, or trolling mode on any one engine. 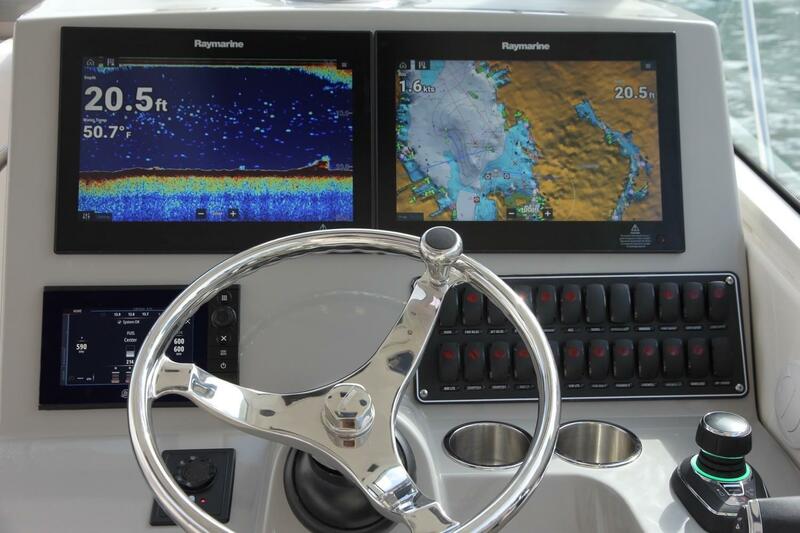 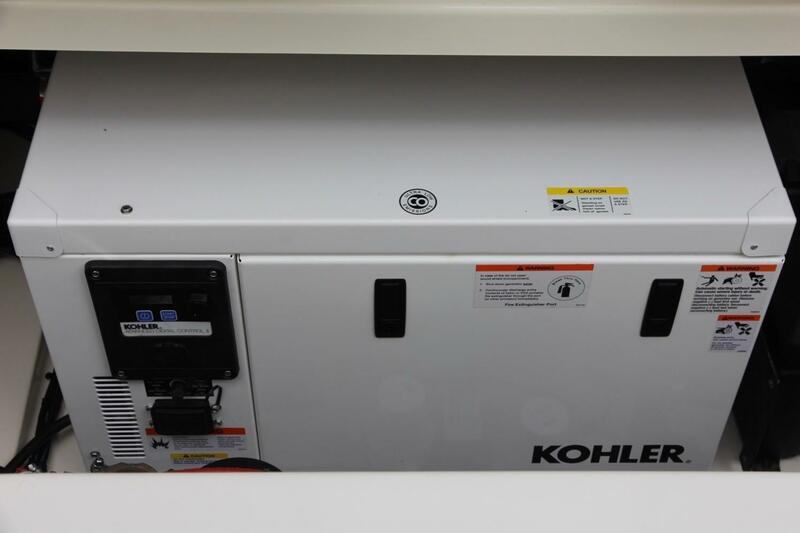 Complex power has been made simple by the engineers at Mercury. 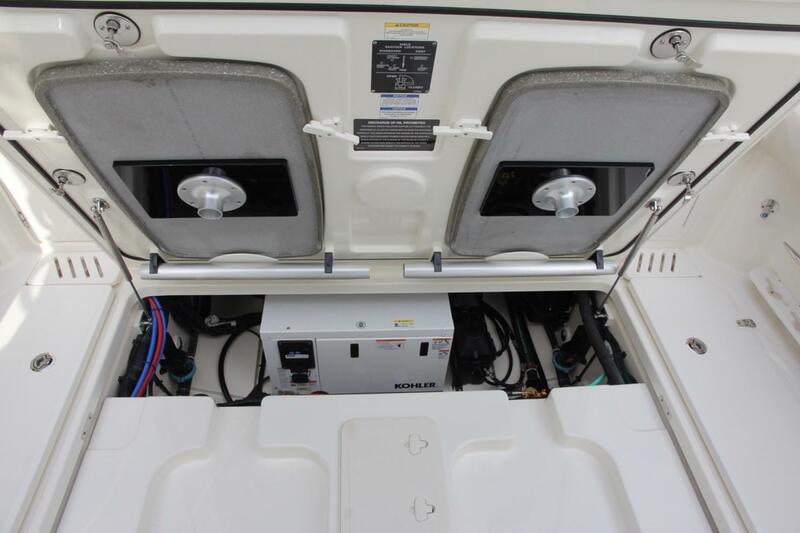 Hi there, I would like more information about the Boston Whaler 345 Conquest.